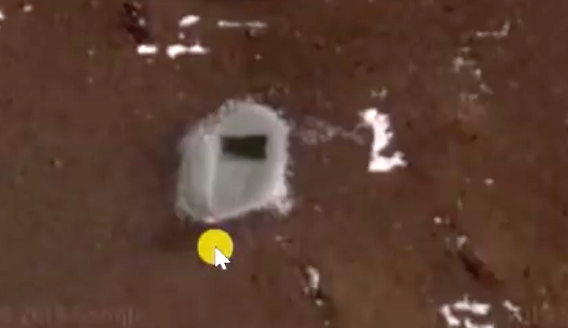 UFO SIGHTINGS DAILY: Rectangular entrance to an underground base found in Antarctica On Google Map, Video, Nov 2018, UFO Sighting News. 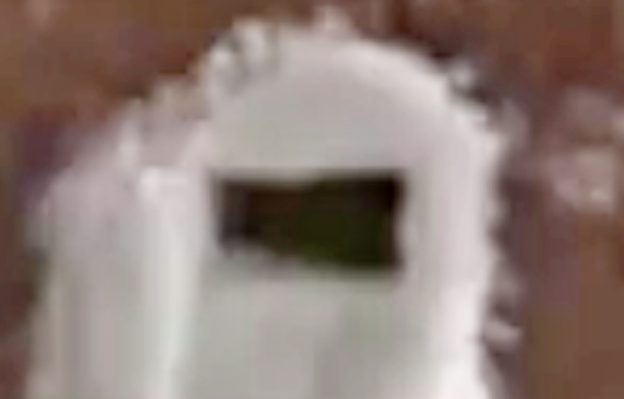 Rectangular entrance to an underground base found in Antarctica On Google Map, Video, Nov 2018, UFO Sighting News. A rectangle entrance was found in Antarctica using Google Earth free map. The entrance was deliberately made...as you can see from the right angles of the entrance. Also the removed dirt has created a surrounding pile all around it of grey dirt. A color that is not seen on the surface anywhere, but only here. Measuring 9 meters by 16 meters its large enough fly small craft in and out easily. UFOmania states: Exploring the continent of Antarctica using google earth, i came across this perfect rectangular entry for an underground world. Source: Ufomania - The truth is out there via Google earth.